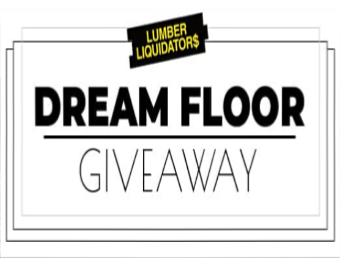 Lumber Liquidators Dream Floor Giveaway – Win $2,500 & more! Win $2,500 and a $5,000 Lumber Liquidators gift certificate! 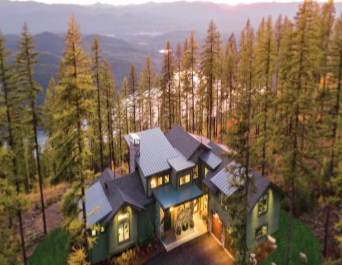 ENTER SWEEPSTAKES HERE – Lumber Liquidators Sweepstakes page. PRIZES – There will be one (1) Grand Prize awarded in this Promotion. The Grand Prize Winner shall receive the following: (i) a gift certificate redeemable for $5,000 in flooring products from Lumber Liquidators, Inc.; and (ii) a check for $2,500 (collectively, the “Grand Prize”). Terms and conditions apply to store gift certificates; see front and back of gift certificate for terms. Sales taxes on the Grand Prize will apply in accordance with applicable laws. Approximate retail value (“ARV”) of the Grand Prize: $7,500. WINNER’S LIST – Beginning on or about April 5, 2019, you may obtain the name of the Grand Prize Winner by going to the Website. 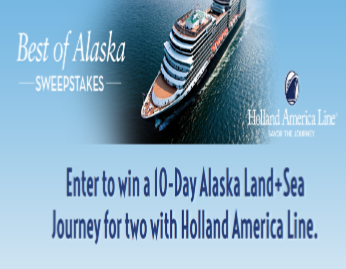 Holland America Best of Alaska Sweepstakes – Win an Alaskan cruise! ENTER SWEEPSTAKES HERE – Holland American Sweepstakes page. ENTRY LIMIT – There is a limit of one sweepstakes entry per person and per e-mail address, regardless of method of entry. ELIGIBILITY – The Sweepstakes is open only to legal residents of the fifty United States, the District of Columbia and Canada (excluding Quebec) who are 21 years of age or older as of the date of entry. SWEEPSTAKES ENTRY PERIOD – The entry period for the Best of Alaska 2018-2019 Sweepstakes begins at 12:00 A.M. Pacific Time (PT) on April 01, 2018 and ends at 11:59 P.M. PT on March 31, 2019. PRIZES – : One Grand Prize (the “Grand Prize” or “Prize”) will be offered in the Sweepstakes. The Prize consists of one (1) ten- (10-) day Holland America Line Alaska Denali Land+Sea Journey (D6C or D6L) departing in 2019 which includes one (1) seven- (7-) day Glacier Discover cruise, one (1) overnight stay in Denali and one (1) overnight stay in Fairbanks for the winner and one (1) guest, sharing accommodations of one (1) stateroom or hotel room, as applicable. The winner and guest must travel on the same itinerary. The Prize is subject to availability at time of confirmation. The Prize consists of ocean-view stateroom accommodations for the winner and one (1) guest (same stateroom) and most shipboard meals (certain alternate dining options require payment of a fee). The approximate retail value (“ARV”) of the Prize is $4,000.00 (USD). Actual value depends on market conditions at time of fulfillment. Any difference between ARV and actual value will not be awarded. WINNER’S LIST – For the name of the winner, available after April 30, 2019, send a self-addressed, stamped envelope to: Holland America Line N.V., 450 Third Avenue West, Seattle, WA 98119 USA, Attn: Best of Alaska 2017-2018 Sweepstakes Winners List. Requests must be received by July 1, 2019. 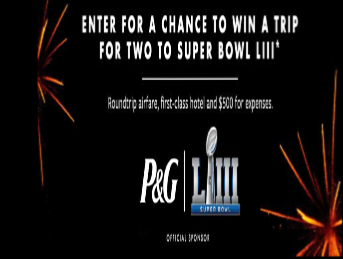 Big Lots P&G Super Bowl LIII Sweepstakes – Win a trip to the Super Bowl! Win a trip to the Super Bowl! ELIGIBILITY – The Sweepstakes is open to legal residents of the 48 contiguous United States, including the District of Columbia, who are age 21 or older at the time of entry. 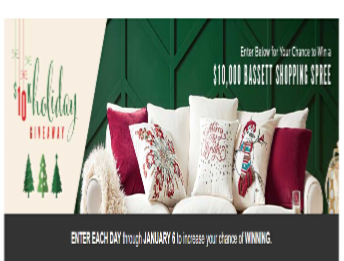 SWEEPSTAKES ENTRY PERIOD – The Sweepstakes begins at 12:00:01 AM Eastern Time (“ET”) on Monday, December 17, 2018 and ends at 11:59:59 PM ET on Sunday, January 13, 2019. PRIZES – There is one (1) Grand Prize available to be won. 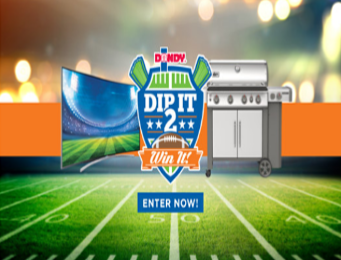 One (1) Grand Prize winner will receive a Super Bowl LIII Prize Package for two (2) people, winner and one (1) guest, from Friday, February 1, 2019 to Monday, February 4, 2019. – One (1) $500 Pre-paid Gift Card. The ARV of Grand Prize: $13,500. The ARV may vary based upon dates of travel and point of departure. The difference between the ARV and actual value of the Grand Prize will not be awarded. 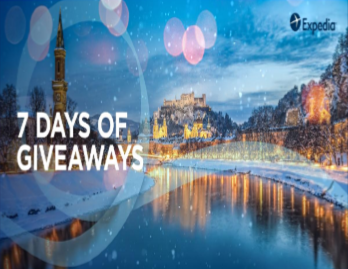 Expedia’s “7 Days of Giveaways” Sweepstakes – Win a $500 travel voucher! Win a $500 travel voucher (2 winners)! ENTRY LIMIT – There is a limit of one (1) entry per person per day for up to a total of seven (7) entries during the Sweepstakes Period. ELIGIBILITY – Expedia’s “7 Days of Giveaways Sweepstakes is open only to legal residents of the United States who are at least eighteen (18) years old or older at time of entry. SWEEPSTAKES ENTRY PERIOD – The Sweepstakes begins at 12:01 AM Pacific Time (PT) on December 17, 2018 and ends at 11:59 PM PT on December 24, 2018. 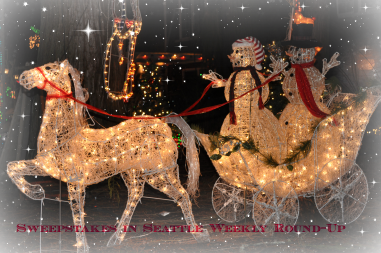 WINNER’S LIST – To request a winners list, send a self-addressed, stamped envelope to “Expedia’s 7 Days of Giveaways Sweepstakes,” Expedia, Inc., 333 108th Avenue NE, Bellevue, WA 98004. Requests must be received within four (4) weeks of the end of the Entry Period. Zebra Pen Zen’s 25 Days of Giving Sweepstakes – Win Zebra Pen products! Win a Zebra Pen products (25 winners)! ENTER SWEEPSTAKES HERE – Zebra Pen Sweepstakes page. ENTRY LIMIT – Limit one entry per person per day. ELIGIBILITY – The Zebra Pen Sweepstakes (“Sweepstakes”) is only open to legal residents of the fifty (50) United States and the District of Columbia, who are 13 years of age or older at the time of entry. SWEEPSTAKES ENTRY PERIOD – The Sweepstakes for each day begins at 12:00:01 am Eastern Time (“ET”) on each calendar day in the month of December, starting December 1, 2018 and ends at 11:59:59 pm ET on each calendar day in the month of December until 11:59:59 pm ET on December 31, 2018. WINNER’S LIST – For a copy of these Official Rules or a winner list, send a self-addressed stamped envelope with proper postage affixed to “Zebra Pen Sweepstakes” c/o Zebra Pen Corporation 242 Raritan Center Parkway Edison, New Jersey 08837. Official Rules will be made available for 30 days following the end of the Sweepstakes. 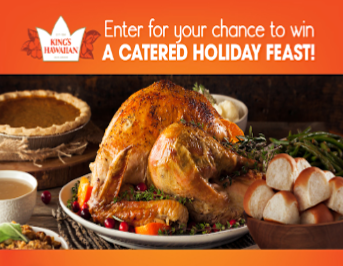 King’s Hawaiian Cater My Holiday Dinner Sweepstakes – Win a catered holiday meal & more! Win a catered holiday dinner with all the fixings & a $100 King’s Hawaiian gift card! SWEEPSTAKES ENTRY PERIOD – Sweepstakes will be held from 12:00 a.m. Eastern Time (“ET”) on December 3, 2018 through 11:59 p.m. ET on December 23, 2018. Catered holiday dinner with all the fixings, including King’s Hawaiian products from an in-market local catering company in winner’s hometown for up to 10 people, up to $500 maximum value. The Approximate Retail Value (“ARV”) of Grand Prize is six-hundred-dollars-and-no-cents ($600.00). The total ARV of all prizes is one-thousand-two-hundred dollars ($1,200.00). WINNER’S LIST – For the name of Winner (available after January 31, 2019) mail a hand-written request and a self-addressed, stamped envelope to: National Cable Communications, Attn: NCC Promotions, 405 Lexington Avenue 6th Floor NY, NY 10174, for receipt by January 31, 2019.